Ayesha Omar is a famous Pakistani actress, host, singer and model. The actress started her career in 1999 and gained success in little time as she is enjoying peak of her career now. Her most famous role is in drama serial “Bulbulay” while the actress has also worked in dramas like “Annie Ki Ayegi Barat, Ladies Park, Tanhayi” and others. Ayesha Omar has also performed in several Pakistani films including Love Mein Gum, Karachi Se Lahore” and others. 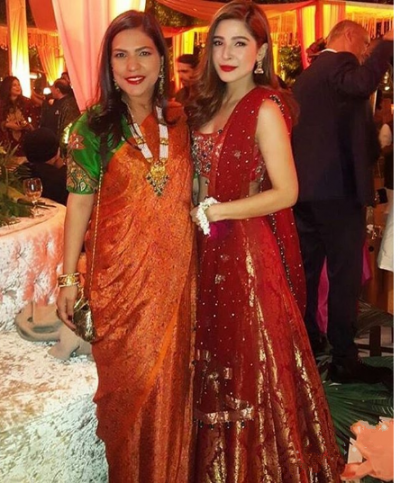 Ayesha Omar has also performed the item number on her own song ‘Tutti Fruti’. 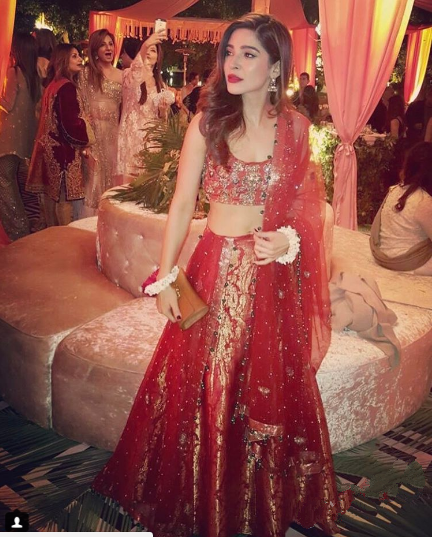 Recently, Ayesha Omar participated in a wedding ceremony during which she was looking quite pretty while wearing a cropped shirt with red lehnga in combination of net and jamanwar. The actress was looking marvelous in red lehanga. 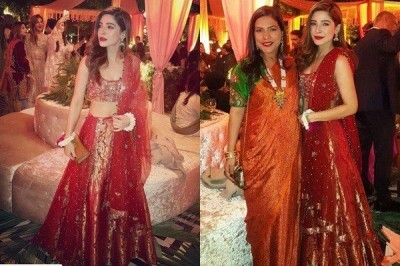 You can view pictures of Ayesha Omar clad in red lehanga.